The Service is the standing and flying military force on Mars. There are three branches of the Service: Fleet, Ground and Intelligence. FLEET comprises the EXPLORER CORPS and SPACE CORPS Branches, which are responsible for ongoing planetary, extra-planetary and extra-Sol system exploration as well as military service. GROUND OPERATIONS provide the planetary military defence force and can be deployed as required. The INTELLIGENCE Branch is responsible for information gathering and covert operations. Recruitment of Lower Ranks requires NO formal qualifications apart from a final School Graduating Certificate and the completion of a Service Entrance Test that involves physical fitness, stamina and psychological testing. Education, food, clothing, various allowances and accommodation are provided free in all Branches of The Service. Officer training requires further education; if you have a degree you may be fast-tracked, generally into the Fleet. Ground Operations are less picky, especially about their on-the-ground personnel. Recruitment into the Intelligence Service is by invitation only. Don't ask. Visit your local Recruitment Office! 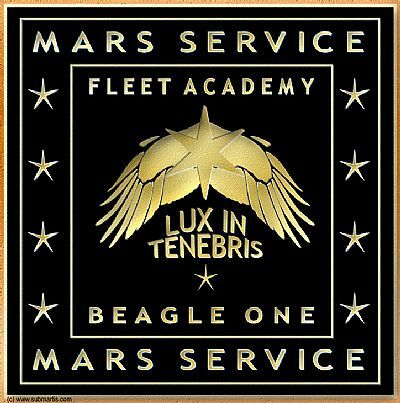 Mars Service is currently recruiting for all Branches of The Service, but principally for the Fleet. There are Service Recruitment Centres in every major Dome Complex. For example, in Beagle Dome Complex, your local centre is on Arago Street in Pillinger, Beagle's Central Dome; see grid reference F08 [PDF map g uide]. 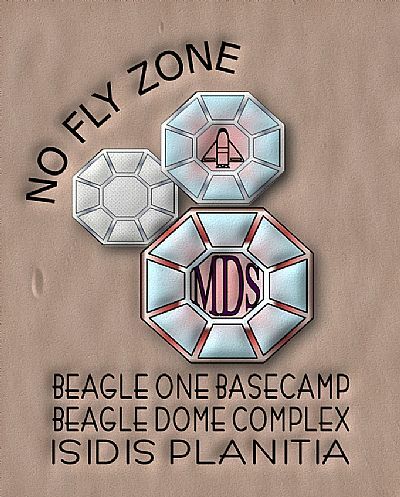 The Fleet Training Basecamp of Beagle One is located to the west of Beagle Central, between Darwin Dome and the Astrobiology Field Dome [PDF map]. Here, trainees learn all the basic knowledge and skills for a career in the Fleet, including physical fitness, ship-board skills, survival, weaponry, navigation, flight training, leadership, teamworking skills and instrument operation. You will be challenged mentally and physically and will be assessed throughout your term of training. At the end of your initial basic training period you will be ready to face the challenges of your next career phase, which depends on the path you choose. You may even be assigned ship-board training as you progress, aboard a starship of Mars Fleet!